So You Think You Can Mom? : Halloween Horror Nights Debuts The Purge: Anarchy! Halloween Horror Nights Debuts The Purge: Anarchy! 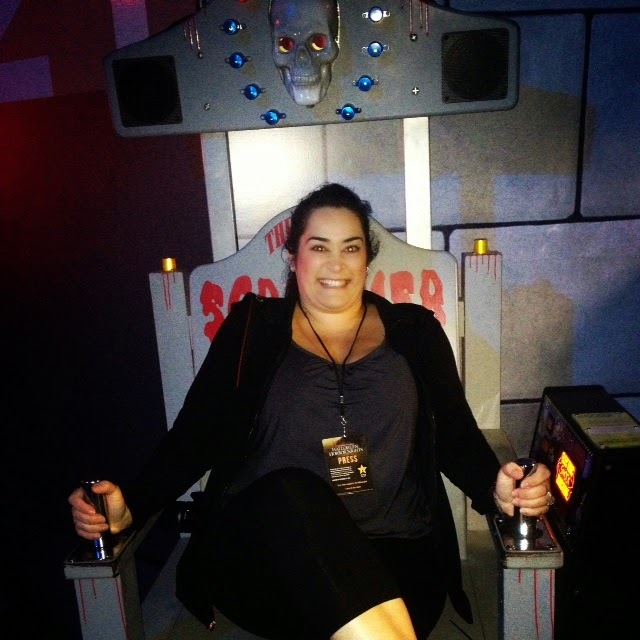 Last year, I had the pleasure of attending the opening night of Halloween Horror Nights at Universal Studios for the very first time and I had a freakishly great night! I was scared out of my shorts and enjoyed every minute of it. This year, I will probably need paramedics standing by because the thought of The Purge: Anarchy being the theme is keeping me up at night! As the gates to “Halloween Horror Nights” open, so too does the annual Purge begin at Universal Studios Hollywood and Universal Orlando Resort with the debut of a terrifying new scarezone, “The Purge: Anarchy,” inspired by Universal Pictures’ new thriller, which scored the highest opening for a horror film this year. The Purge: Anarchy, the sequel to last summer’s surprise hit, moves from the confines of a suburban neighborhood to the streets as the government begins its annual 12-hour Purge to ensure that the crime rate stays below one percent for the rest of the year. With all emergency services suspended, it’s the one night when society regulates itself without thought of punishment or fear of retribution. For average people who do not have the means to barricade themselves indoors with a state-of-the-art security system, anarchy rules and no one is safe. In this new story, an unlikely group of five citizens discover how far they will go to protect themselves and, ultimately, each other, as they fight to survive a dangerous night fraught with impossible decisions. From director and writer James DeMonaco (The Purge, Assault on Precinct 13), The Purge: Anarchy stars Frank Grillo (Captain America: The Winter Soldier), Carmen Ejogo (Away We Go), Zach Gilford (Devil’s Due), Kiele Sanchez (A Perfect Getaway) and Michael K. Williams (The Wire). To complement its numerous mazes, “Halloween Horror Nights” features a variety of terrifying scare-zones designed to provoke heart-pounding fear as guests traverse the park from one traumatizing experience to the next, unsure of what lies just around the corner. To learn more about this all-new “Halloween Horror Nights” scarezone, click here: The Purge: Anarchy.